Following my earlier recommendation, the latest quarter results released yesterday by Analabs surpassed my expectation. I consider Analabs on track to surpass last year's full years results with its latest record profit and strong performance for the past 3 quarters It will definitely show a full year of consecutive profit growth. The latest quarter results, the revenue dipped slightly to RM35 million but the EPS tood at 6.96 sens which was a whopping increase of almost 300% YoY. QoQ, the Analabs exceed the previous quarter strong perform with record profits. Taking the first 3 quarters results combined, the EPS for half of the 2016 financial year is 18.91 sens. By annualising the quarters to take a future view, the full year EPS is estimated to be around 24-25 sens. At current price of RM2.13, it is only trading at a PE of 8x only. There is also dividend although the yield is only 1.5%. Additionally, a plus point is the improved profit margin for their products. Based on the first 3 quarters, the profit margin now stands at 9.3% which double of that of last financial year. It is still away from the record high 12% (where a dividend of 5.5 sens was offered as well), with 1 more quarter for the full year ahead, there is a good chance Analabs is able to exceed both revenue and EPS with increased profit margin. Indeed, it is true that Analabs is beneficiary of FOREX gains due to weakening MYR. However, the company is also doing well due to the cost rationalisation plan of the Singapore subsidiary. It is not fully all fue to FOREX gains as the past months, MYR has weaken considerably against USD yet Analabs manage to achieve record profits. Most importanly, my favourite part about Analabs is the solid balance sheet. The NTA stands at RM3.95 per share but current price is only RM2.14. 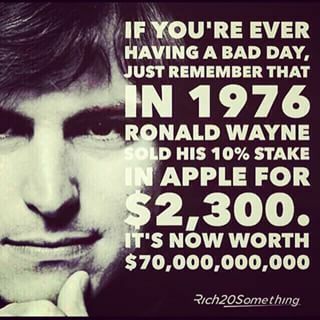 That means the company is holding net assets worth 2x its current share price. In addition, the net cash position has increased to RM33.95 million. 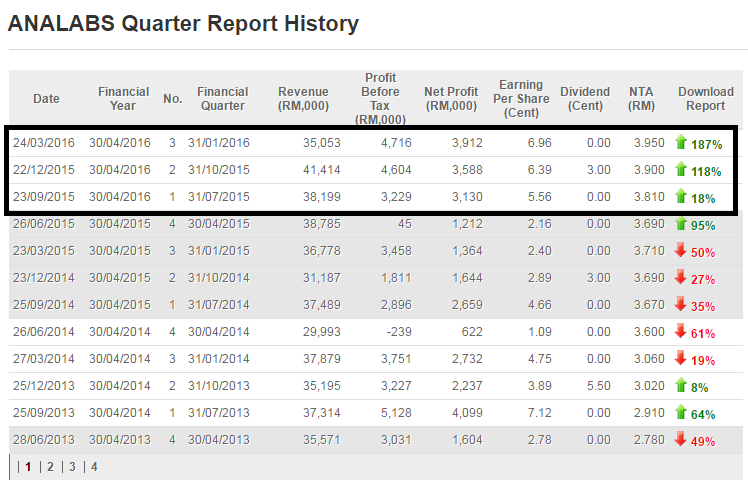 If Analabs is able to maintain their performance for the final quarter as they had delivered in the previous 3 quarters, at EPS of 24 sens with a historical PE of 10x, Analabs FV should be at least RM2.40. I am of the view PE of 10x is too conservative and would likely place 11x as reasonable bringing it to RM2.64. (32% upside). This figure excludes the historical dividend payout. I am taking a long term view on Analabs as one of my safe counters.